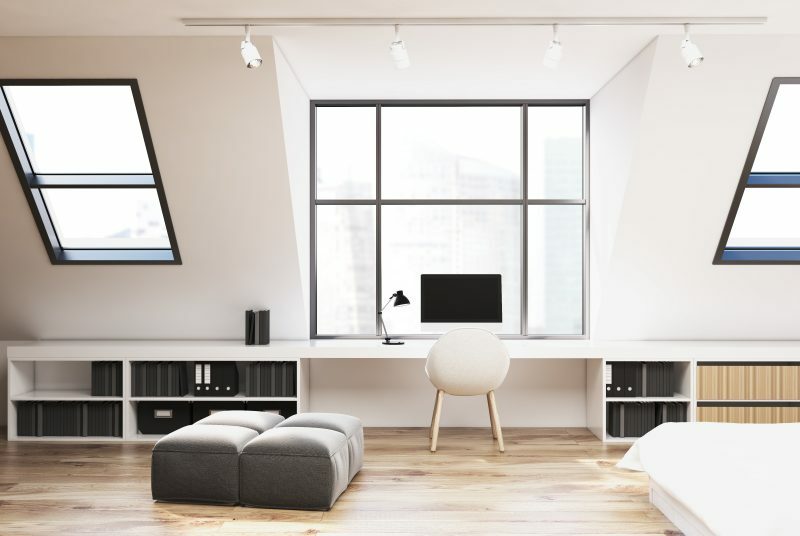 Whether you live in a small studio apartment or lovely home with limited square footage, you will find that each of these living spaces has its own set of benefits and challenges. After several years spent in the house or apartment, you will fill it with hundreds of small items that have nowhere to go, and your closets will be filled. Perhaps you will enlarge your family with children or a pet. Or you only need to broaden your living space to make you feel more comfortable in it. Small areas shouldn’t hold you back from making your home as beautiful as you want it to be. There are things you need on a daily bases, but you don’t have space to place them. In this case, vertical and hidden storage is your best friend. Utilize as many hidden storage spaces as possible. For storing books, collectables, and displaying decor, you can use shelving over doorways, tall display storage, and open shelving throughout your apartment or home. Hidden storage under beds, installing vertical storage in cabinets and hanging organisation accessories on the back of doors, can maximise your storage capacity. 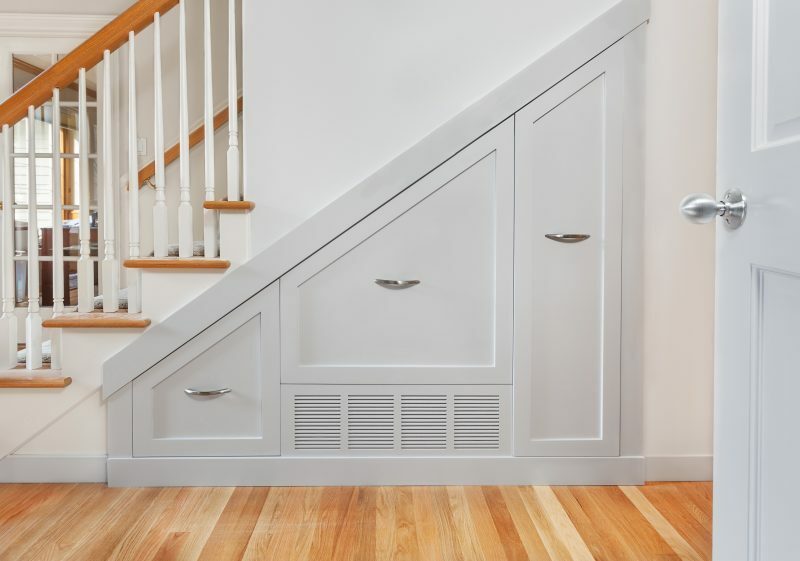 Usage of space under stairway is often neglected, so use it to create drawers underneath stairs, which will drastically increase your living space in the home. Anything unnecessary: a handful of reusable grocery bags, an article of clothing, or an old wine rack—that you’re not using should be removed from the living space. If you haven’t used your ironing board in the last year, get rid of it. If you don’t host dinner parties, you don’t need a dozen wine glasses and five sets of plates. If you rarely go to the beach, don’t let beach towels and sunshade taking up closet space! Decluttering is a vital step in maximising storage spaces. There are numerous self storage units available for storage of your goods in a safe, dry place where it will be available to you once you need them again! Curtains and massive draperies are gorgeous and elegant, but they take space around windows. Consider replacing them with blinds which will give you more space, not only visually, but will also enable you to place a shelf or a drawer under windows. Not only they will make more space at your home, but they also give you complete control of the amount of light that enters a room. There are different types of blinds available on the market such as cellular blinds blackout, top down bottom up shades, and others and you can choose the colour that best suits your living space! Use lighter tones to enlarge rooms visually: it enables your eye to travel continuously around the space, making the room appear more spacious. The same effect is when you paint walls in the colour of furniture. If colours are different eye stops at the line where the colour changes, which makes the edges and you see boundaries. With the same tone, you don’t notice borders and space seem to continue. You can also hire an expert, such as Newline Painting, who can help you to choose a colour and give you tips of the best combinations that will make your space appear larger. Lofts are a great idea for small homes, separating the bedroom from the living-room spaces thus maximising your space. The sleeping loft can be placed above the home office as well. Access to loft can be arranged via stairs or ladders, but have in mind that the substantial staircase adds to the feeling of space. And you can place storage within the stairs that is accessed via the home office or living room. Having sleeping loft is interesting because intimacy and privacy or work are set at a different level. Loft conversions are a great addition to the home, ensure you use a recommend team of builders, such as UK Wimbledon based building company Wimbledon Design and Build. Enlarging doesn’t have to be only visual or space enlargement, it can also be functional and in this case, your apartment should be able to utilise one space for several functions. Your dining room table could serve as an office for your laptop when not eating, and possibly a work surface when doing hobbies and crafts. Utilize kitchen bar area for sitting, entertaining, dining, and extra work surface space when cooking. In your living room, use futons, and sleeper sofa beds for a couch in the day, and a sleeping area at night. 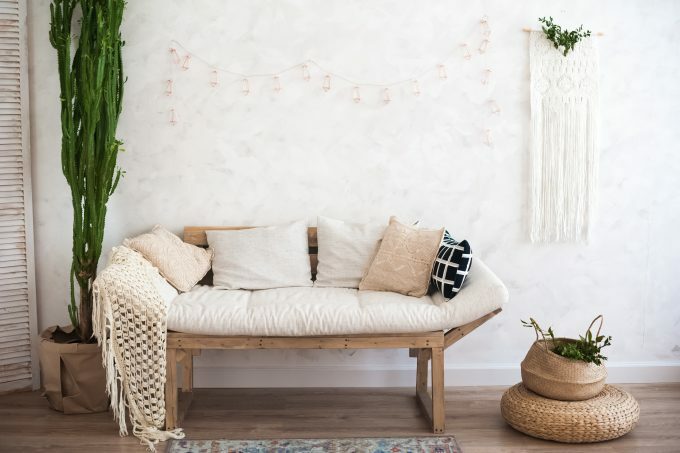 You can also find different multifunctional furniture such as an ottoman, with a secret storage area, nesting tables that can be pulled out and used when you need them, side tables that can be used as stools when hosting a party, a bench that can also serve as hidden storage and many others. Use them to create more space in your living area. Television stands can take up much space. Perhaps it is a lovely piece of furniture, but, you can swap it out for a wall mount. Another benefit is that it’s much safer than a standalone television which can be reached by your small children, and fall over them if they push it. Porches are a great addition to your home, hosting delightful tea parties and cosy nights. Open or closed, the wooden porch enlarges your home and offers a different way of spending your free times. If you live in an apartment, a large balcony can be used for the same purpose. When you deal with a small apartment, maximising your space is extremely important. You should try adding floor-to-ceiling bookshelves to your walls that can contain lots of books and other items and organise the areas as well. It can also be used as a space separator, between living and dining room for example. If you place a piece of furniture with large mirror surface in your room, you will visually enlarge the space. Mirrored furniture allows you to choose a piece of it, that doesn’t crowd a room and makes the area appear larger. Combination of a mirror with other materials, especially antique looking furniture that has mirror surface can add a high-class look to your living room. After you finish work with enlarging space in your home or apartment, keep it tidy and don’t let stuff overcrowd it again! Avoid buying junk you don’t need and whenever you buy something new, force yourself to dispose of something old to make room for a new item.